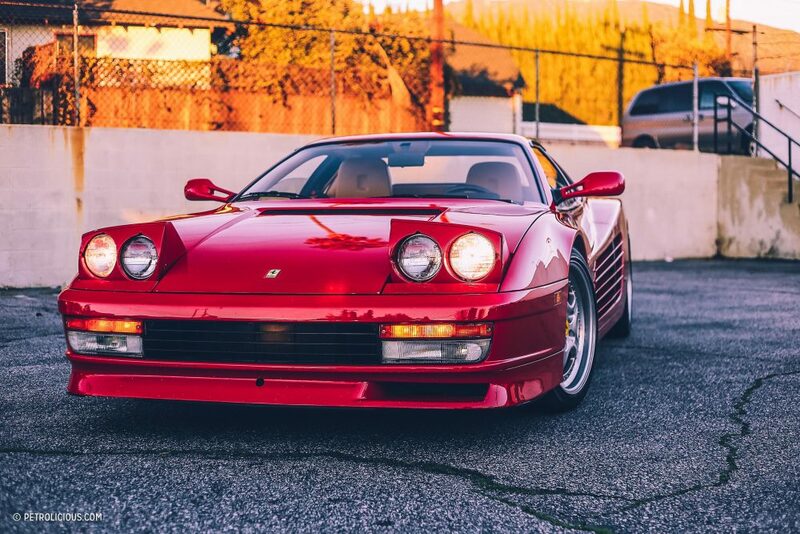 Featured: Who Needs A College Savings Account When You Could Invest In A Testarossa? 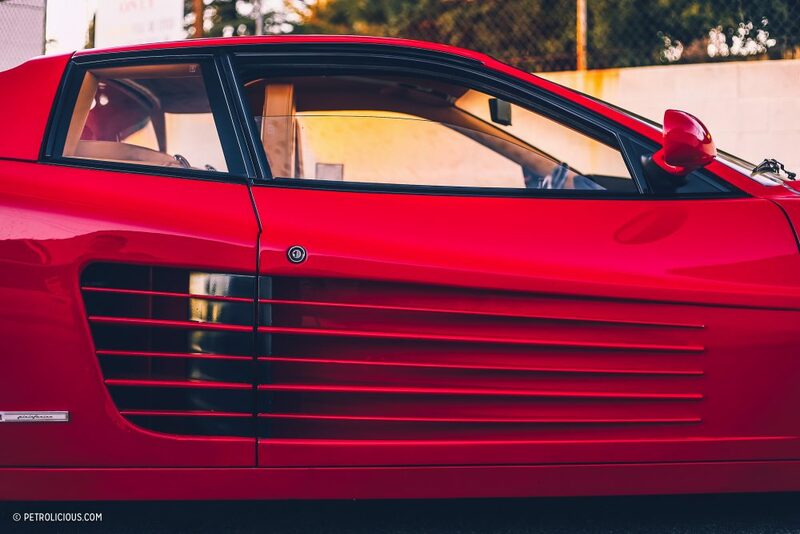 Who Needs A College Savings Account When You Could Invest In A Testarossa? Saving up for your kid’s college fund can be a penny crunching challenge. With most banks offering all-time low savings account interest rates, simply setting aside X amount of cash every paycheck probably isn’t going to cut it. 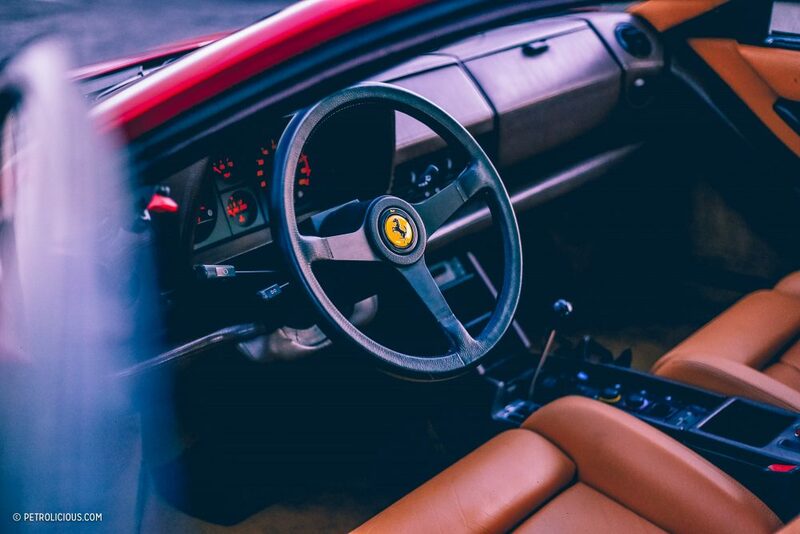 There are a number of alternative ways to save for your child’s future university expenses, but have you considered buying a classic car instead? I don’t mean purchase a car in lieu of sending your kid to college, I mean specifically buying a classic car as a college investment. That might sound far-fetched, maybe even a bit looney, but if you play your cards right you might be surprised by the ROI. 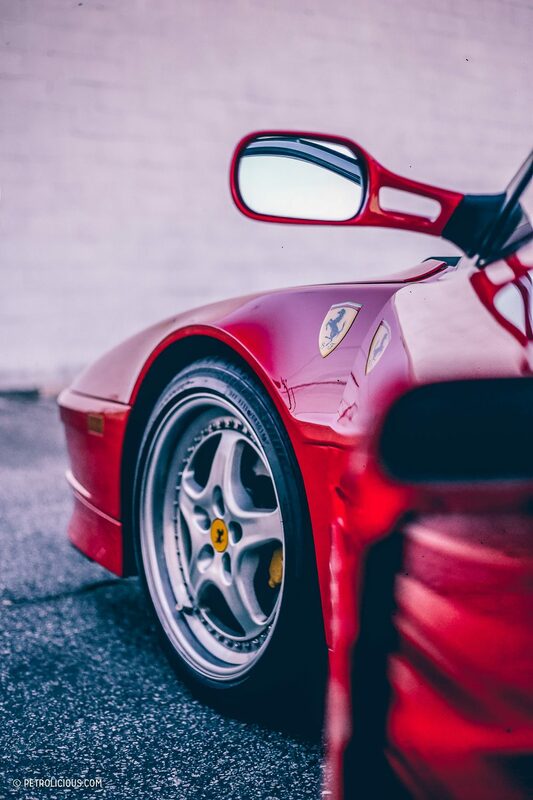 One father thought this made quite a bit of sense, so we sat down with his son, Armand Avaniss, the adolescent owner of the Rosso Corsa Pininfarina wedge framed here. Andrew Golseth: Armand, how old are you? Armand Avaniss: I’m 14 years old. I’m a freshman in high school. 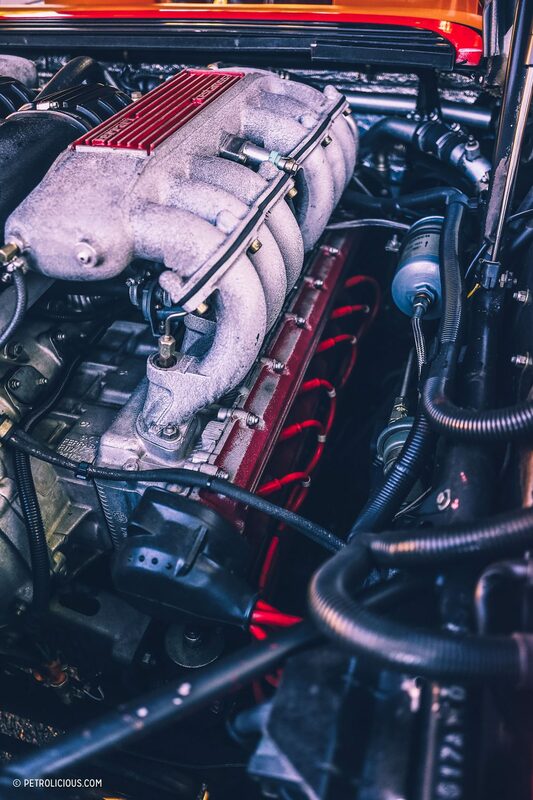 AG: Have you always had a love for cars or is this something relatively new? AA: Well, it was two years ago or so when I first watched the first Fast and the Furious and I thought, “Oh, this is pretty cool.” I didn’t know anything. I knew absolutely nothing about cars, but I started researching, really looking into it. I started showing my dad cars I thought were cool and it turned out he’d always been super interested in cars but never brought it up because I wasn’t into them. 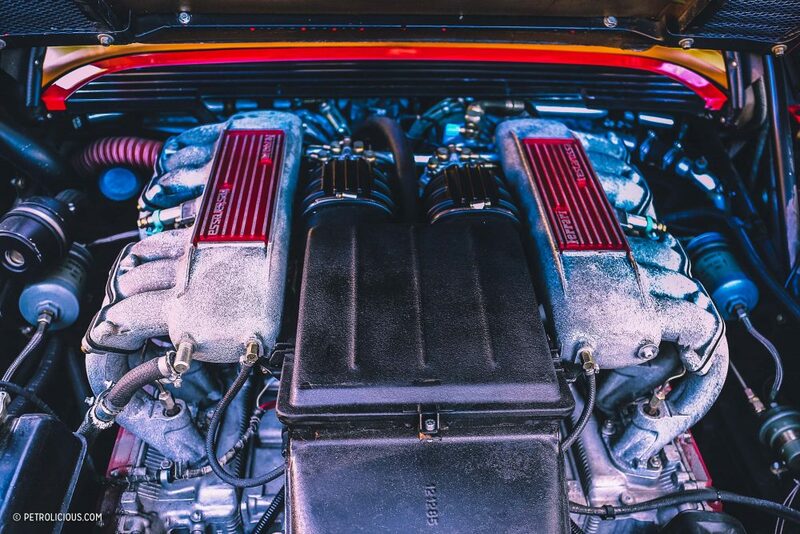 AG: So, how did your newfound passion for cars turn from The Fast and the Furious franchise to a Ferrari Testarossa in the garage? AA: Well, that sort of goes back to when my sister was born. When she was born, my dad bought her a BMW M Roadster as an investment for college. He thought it’d be a good investment in hopes it’d gain interest faster than a bank account. But I was born shortly after my sister and there wasn’t enough money for my dad to do the same for me at the time. AG: So, your college investment car came later? AA: Yeah. When I was about 12 years old, my dad gave me an option. He told me to pick out a car to purchase for a college investment, which is just the coolest thing ever for a kid—especially one who had just started loving cars. So, we started looking. 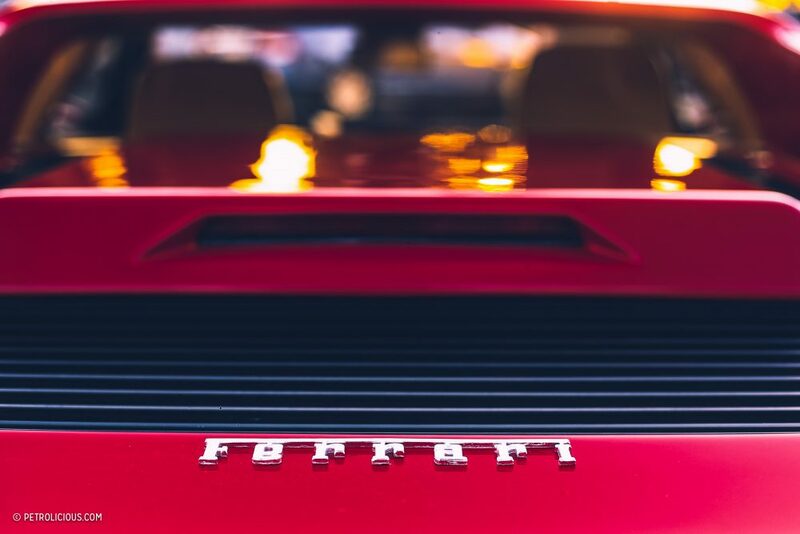 Of course, I immediately looked up newer Lamborghinis and stuff like that because they’re obvious and cool to a young enthusiast, but they were really expensive and probably not the best investment. Then I saw a trailer for Cannonball Run, which famously stars a Lamborghini Countach. 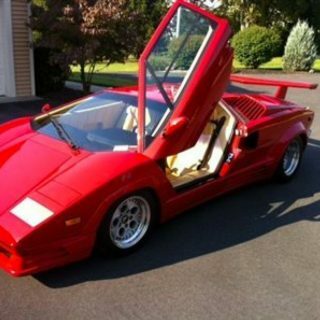 I immediately thought, “Wow, that is just gorgeous.” Of course, a Countach was a little bit out of our budget as well. 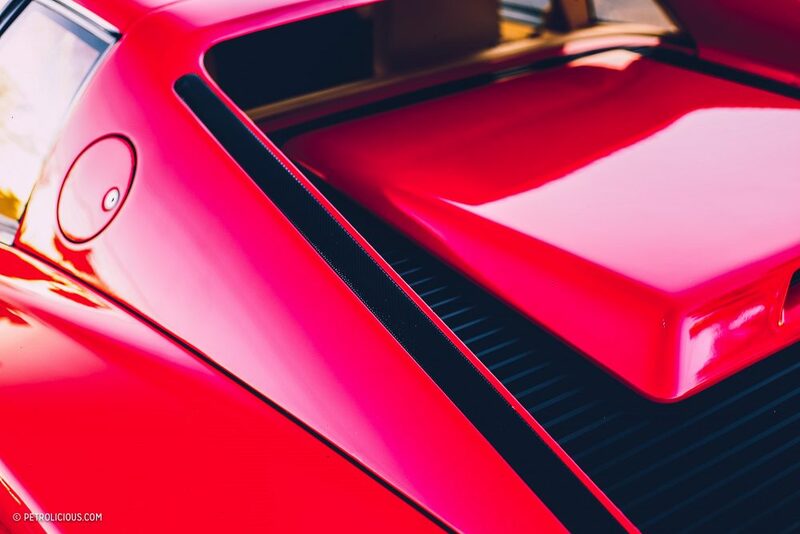 But ever since discovering the Lamborghini Countach, I’ve been obsessed with classic cars. I’ve been a classic car guy since. 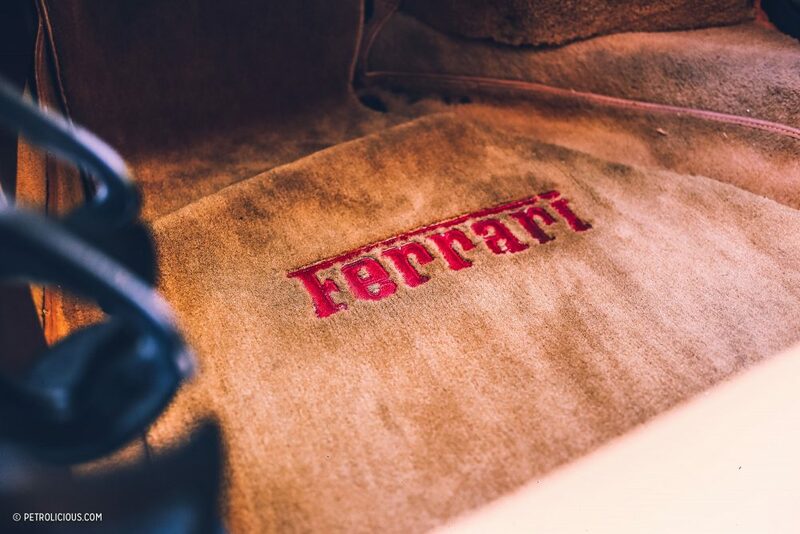 I was all over the map, researching old Mercedes, BMW, Lamborghini, Maserati, just about every type of exotic or sporty classic that we thought might go up in value. When I’d find a car I was interested in, my dad and I would go on these trips to go see them. Sometimes driving 200-plus miles away to look at potential buys. We’d drive out, look at these cars, but nothing seemed to work out. We spent two years doing this but never came across the right car. AA: Yes. 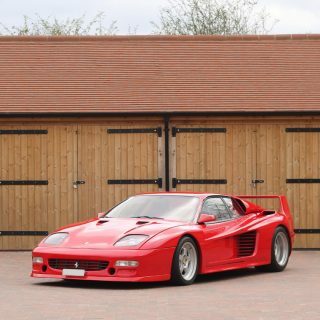 It turned out, they had just received a 1990 Ferrari Testarossa, which is the car we have now. AG: That was “The One,” huh? AA: They had just finished detailing it. I immediately knew, “This is it.” It was just the most beautiful thing in the world. I loved it the moment we saw it. I told my dad, “This is it,” but he was a little apprehensive and suggested holding off on buying it at first. After two weeks passed, we hadn’t found anything so my dad says, “Alright, let’s do it. 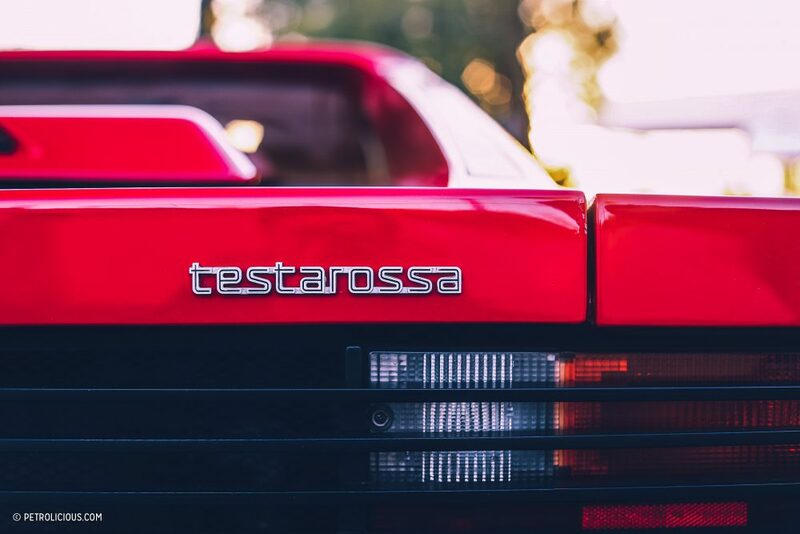 Let’s go get the Testarossa.” We went and picked it up. It was the absolute happiest day of my life. It’s a higher mileage example, it’s got around 40,000 miles, but it runs and looks great. 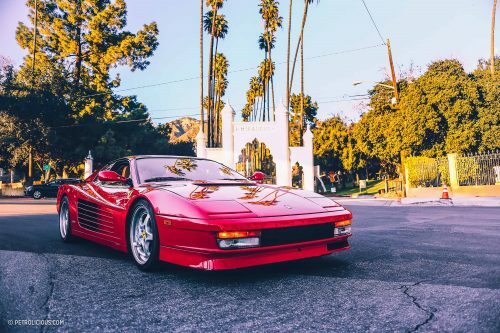 AG: So, your first car is a 1990 Ferrari Testarossa? AG: Have you learned how to drive stick yet? You’ll be 16 before you know it. AA: I’m learning how to drive on a Volkswagen Golf. It’s my dad’s current daily driver. It’s a 2015 Volkswagen Golf R.
AG: There are certainly worse cars to learn how to learn stick on. 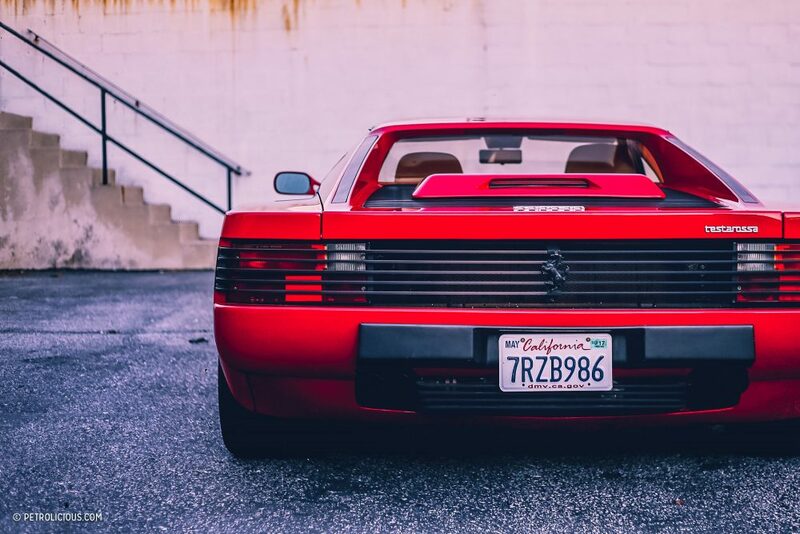 So, the Testarossa, what’s your favorite part about having the car in your family? AA: Taking it to Supercar Sunday and other car meets. To me, it’s just the most fun thing in the world, going and discussing the car with others and then getting to talk about their car. It’s just a fantastic experience to share. We’re trying to get it out to more car shows because I’ve realized I’m merely a caretaker. I’m one more person that’ll continue to pass it down a long line of caretakers. 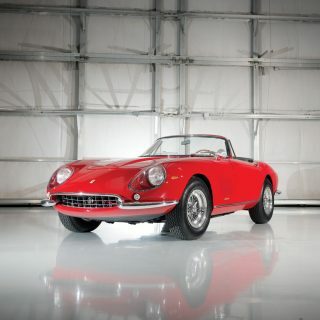 I honestly took that mentality from you at Petrolicious. I heard that saying in one of your films and it really wowed me. 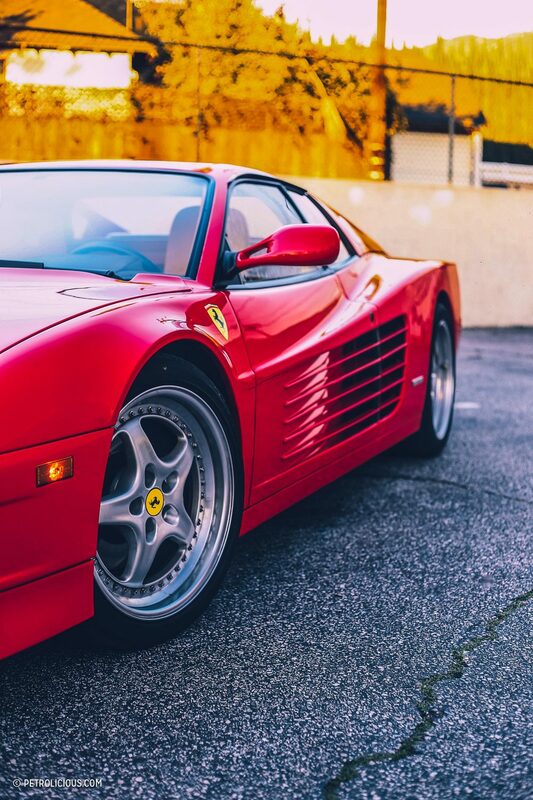 The “caretaker” mentality really applies to this car and I because this Testarossa has had three previous owners. I’m just one more person in this huge line of people who are going to own this car—I’m just the one currently with the keys. I believe it’s my duty to bring this car out and show it to others who will appreciate it as well. Today, if I’m walking down the street and see a Ferrari 458 or Lamborghini Diablo or something, it makes my day. I want to be able to do the same for others with this car. AG: You’re wise beyond your years, Armand. Any favorite moments when displaying the car? AA: This one time in the valley, we parked the car at a valet and I went and to get something to drink. When I came back to the car, I just looked at it, admiring it. Then I see this little kid who was holding his mom’s hand and crying. The second he walked past the car, he let go of his mom’s hand and started jumping up and down, smiling. That moment made me so happy. AG: That’s what it’s all about. 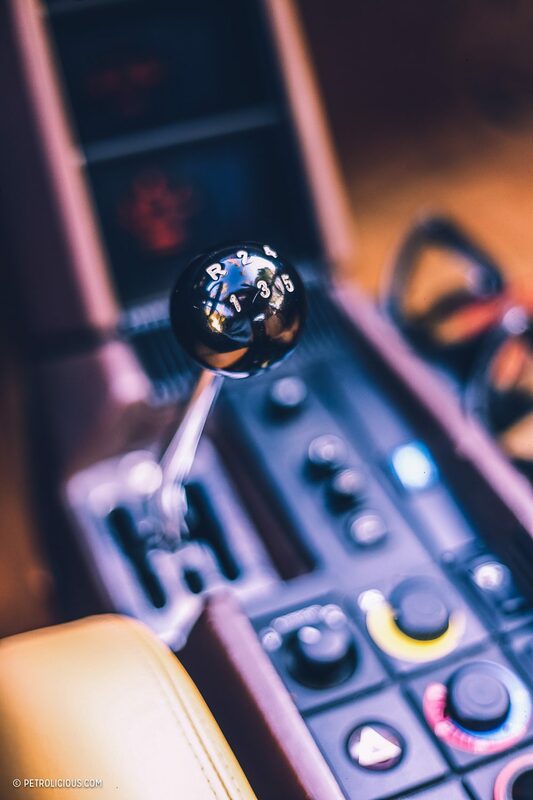 Have you gotten to drive it yet? AA: No, and honestly I don’t want to yet. Aside from not having a license, I don’t want to risk messing up the clutch. The clutch is pretty tough. 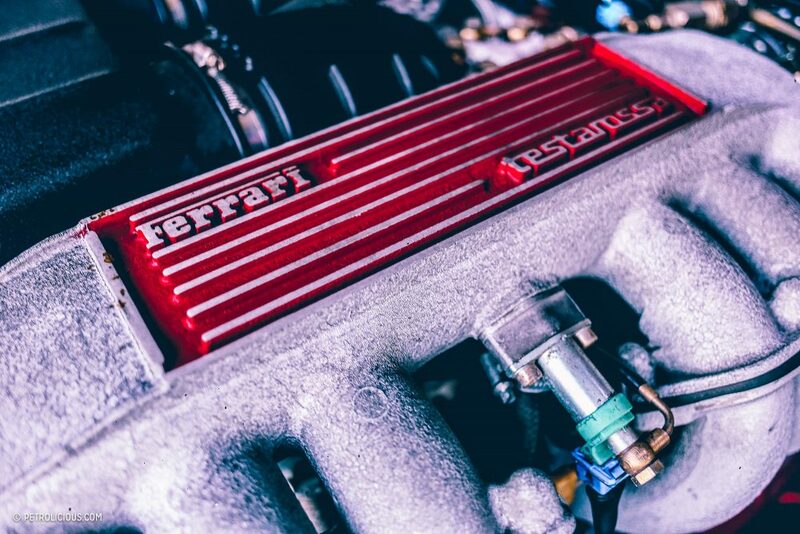 AG: I’ve heard Testarossa clutches can be tricky. 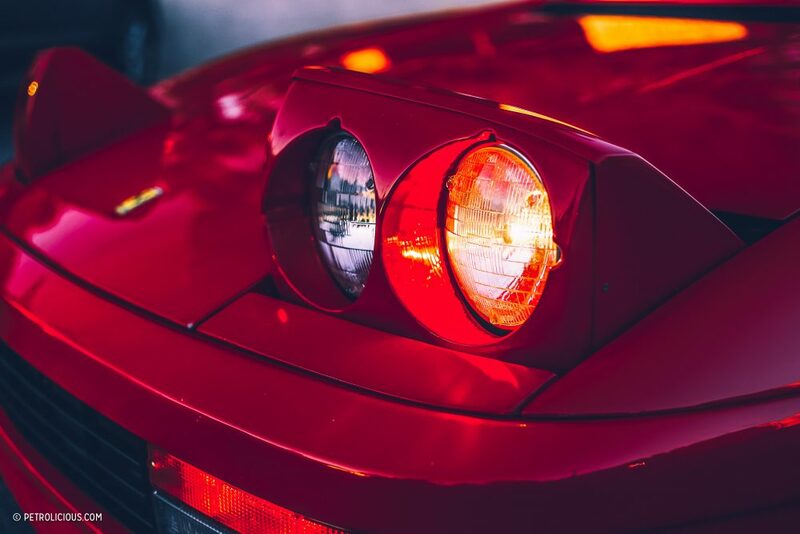 What’s your favorite aspect of the car itself? AA: I’d say the back. 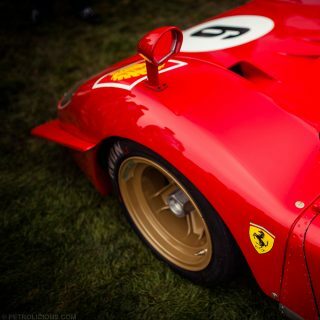 I can’t get enough of the rear end of the car. 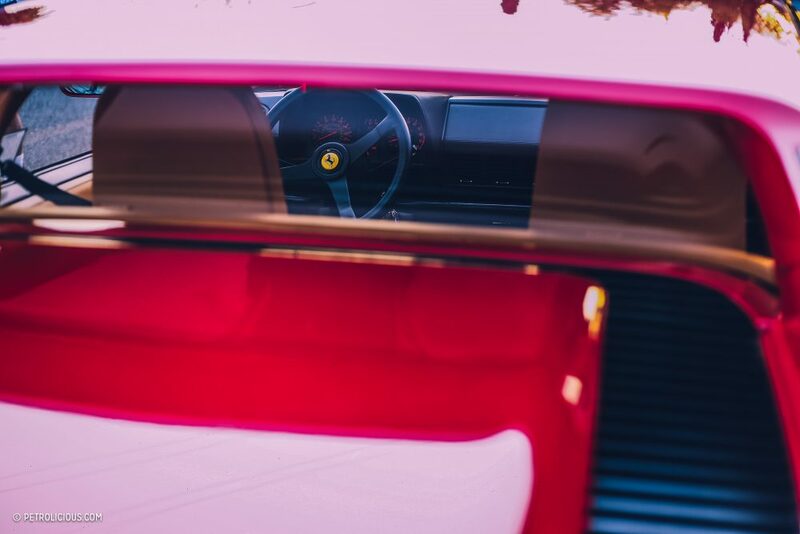 I could just sit there and stare at the back of the car. It’s so beautifully put together. The lines, the colors, it’s just gorgeous. AG: It’s certainly an iconic shape. 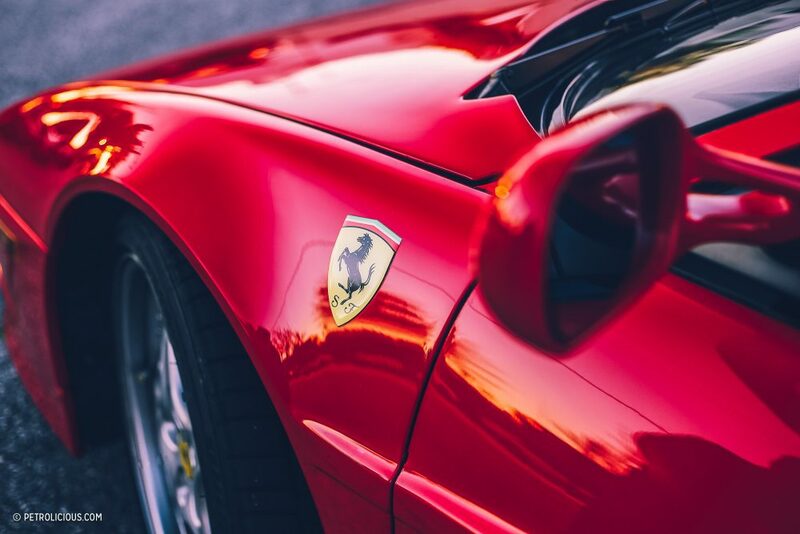 Is there any aspect of the car you’re not thrilled about? AS: Actually, yeah. When we’re out driving it and other motorists take out their phones to take pictures, it gets a bit nerve wrecking. We’ve been cut-off and almost hit a number of times. People have swerved in front of us on the highway and everything. AG: Certainly an attention grabber. How often do you and your dad take the car out? AA: We try to take it out as much as we can, which is usually once or twice a month. AG: You’re not planning to daily drive this thing once you turn 16, are you? AA: Oh, no. I’ll probably get some cheap car to daily drive. 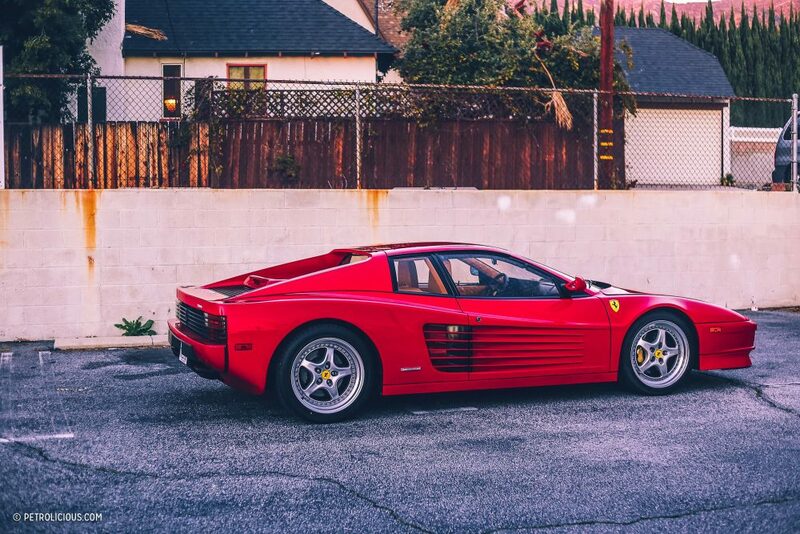 I only plan on taking the Testarossa out on special occasions. AG: So, what’s the game plan? You’ll get to drive this occasionally up until college, then sell it to pay for tuition? AA: We’ll see. It is my father’s college investment to me but, hopefully, by the time I’m going to college, we’ll be able to keep it. AG: If you keep your grades ace and earn a full ride, you’ll have the most tasteful car on campus. 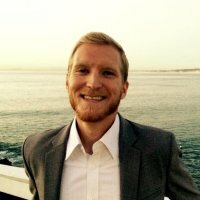 How did this whole “buying a car for a college investment” come about? 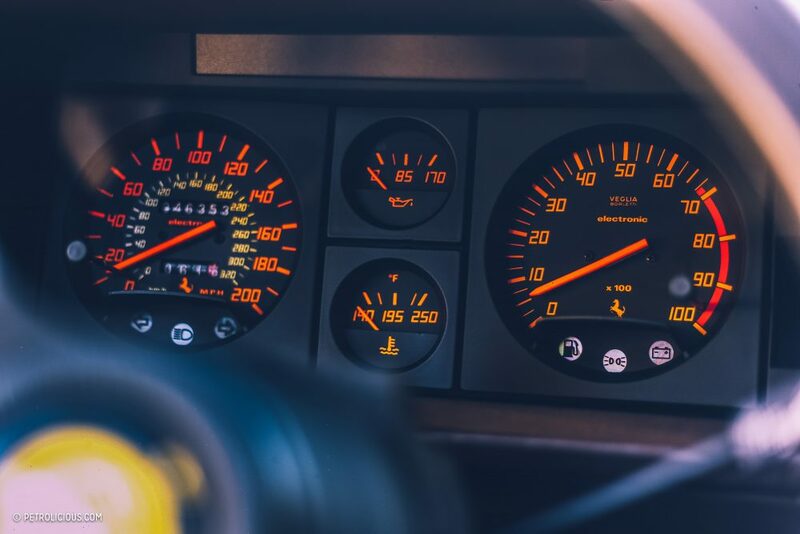 AA: Well, my father knew that a .0-something percent interest rate from a bank account wasn’t going to earn much over time, but with the collector car market nowadays, certain cars can have a huge return on investment. 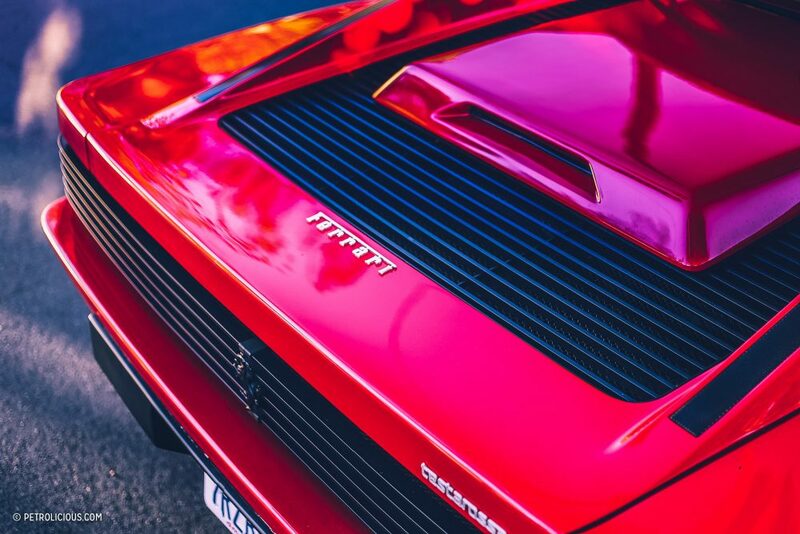 Of course, classic Ferraris are just going to keep going up in value, so why not have something fun to play around with that’ll make for a good investment in the long run? AG: That actually has a lot more sound reasoning behind it than most people would give it credit. I know you’re a few years away from having to make any college calls, but have you thought about what you’d like to major in? AA: Yeah, I’m thinking about majoring in Mechanical Engineering or maybe Electrical Engineering. 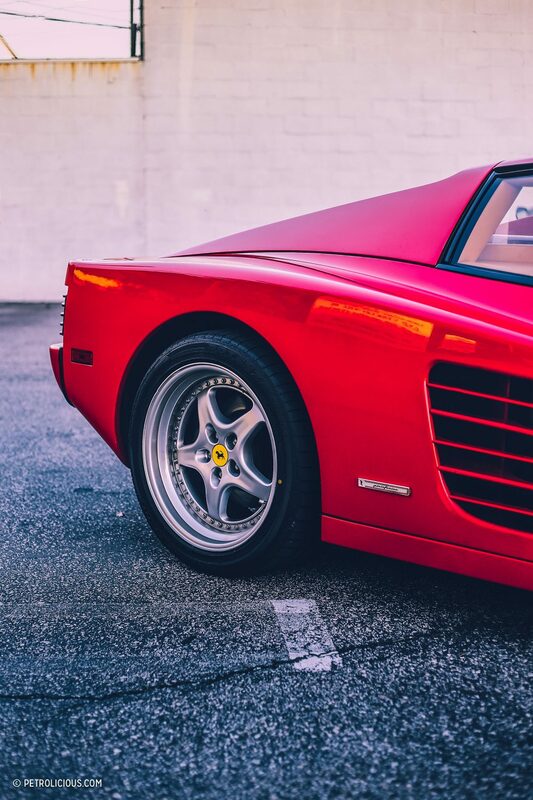 AG: With either of those degrees, there’s a good chance the Testarossa won’t be your last Ferrari. 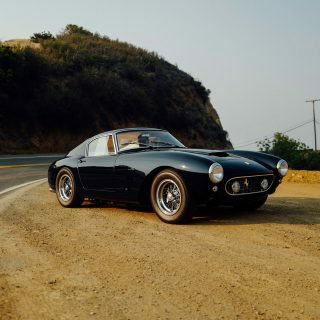 Featured Is This The Ultimate Ferrari 250GT You're Actually Able To Drive? 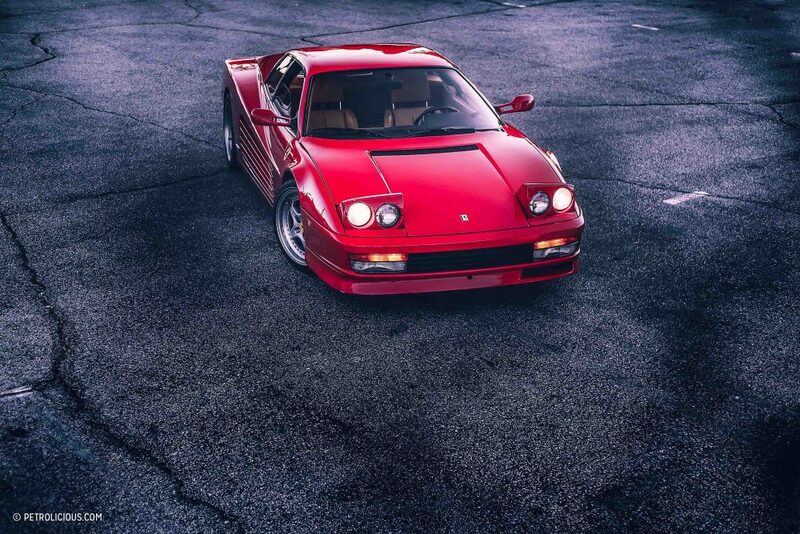 There are SO many better Ferraris to “invest” in than a heavy, relatively poor handling Testarossa. 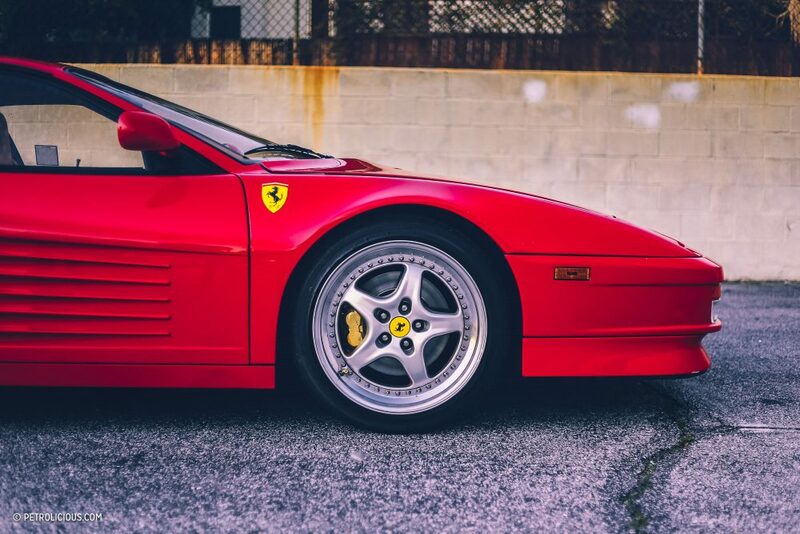 If you’re going to actually DRIVE it, a 348, or, 355 is a much better choice. Less expensive, too. No where is it mentioned that young adults should be expected to contribute to the costs of their post-secondary education, much less – gasp – pay for it themselves. I’ve watched my 50-something friends lose any chance of retiring to absorb the cost of their kids’ schooling (somehow they started working with ace writing service to pay it off). 20-somethings are at the beginning of their earning years. Pay for the education you can best afford with loans, grants and earnings, and consider it your first investment! 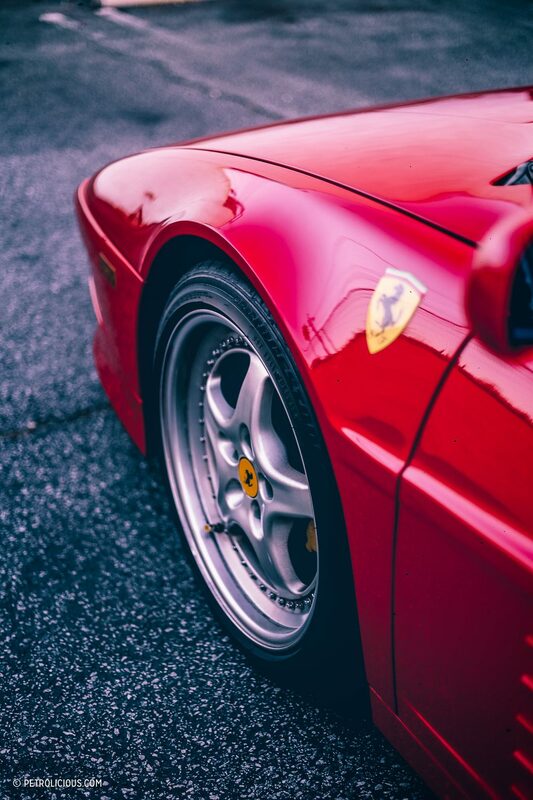 Let’s see what we have here… Teenager, check, ‘watched the first Fast and the Furious and I thought, “Oh, this is pretty cool.”, check, Ferrari, check. Now, if we can just get Armand to fall in love with “Ferris Bueller’s Day Off”…. Bwaa haaa haaa haa (evil laugh). 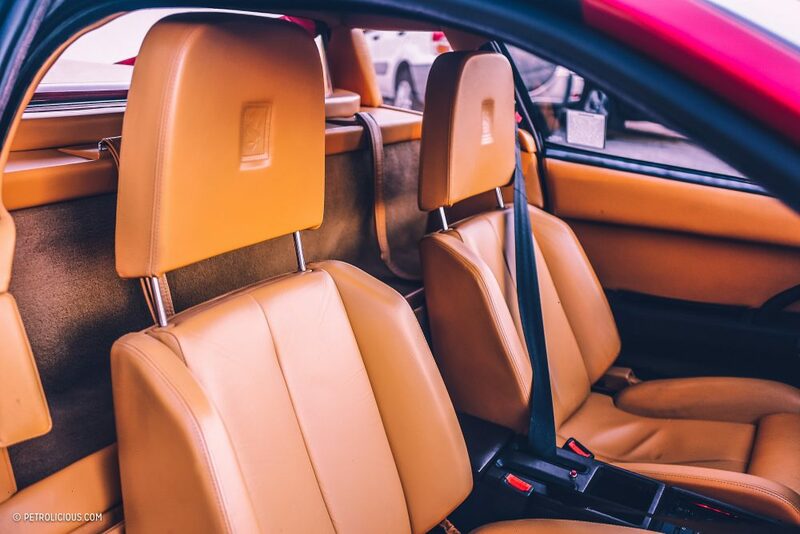 Is that an auto-bolt-on seatbelt? Great location shot of the TR in front of the Miradero gate. Google Miradero for some interesting So Cal history. Well I mean if you don’t enjoy the content then don’t read it. The dad bought his kid a car because he had the means. I see no problem with having a fun car and an investment. They are already getting a great ROI — father and son time — if they get monetary appreciation it’s just icing on the cake. Could you guys please send me these pictures in good quality? 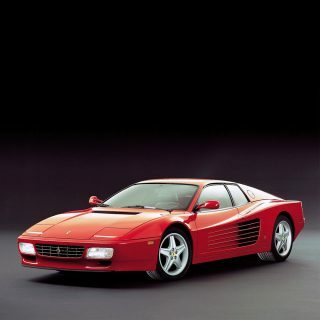 It’s really hard to find good pictures of the testarossa. Maybe per email or with a link?